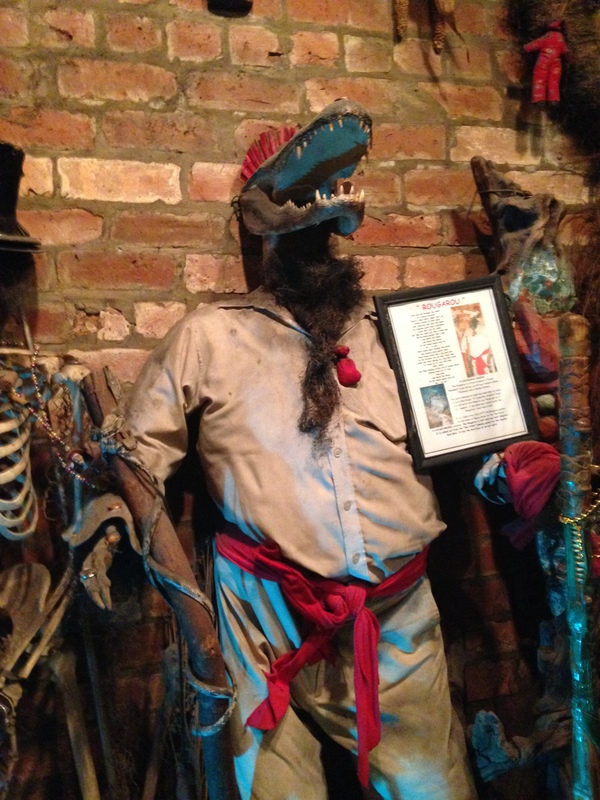 One of my favorite museums in New Orleans (although it is very hard to pick), is the Historic Voodoo Museum in the French Quarter. 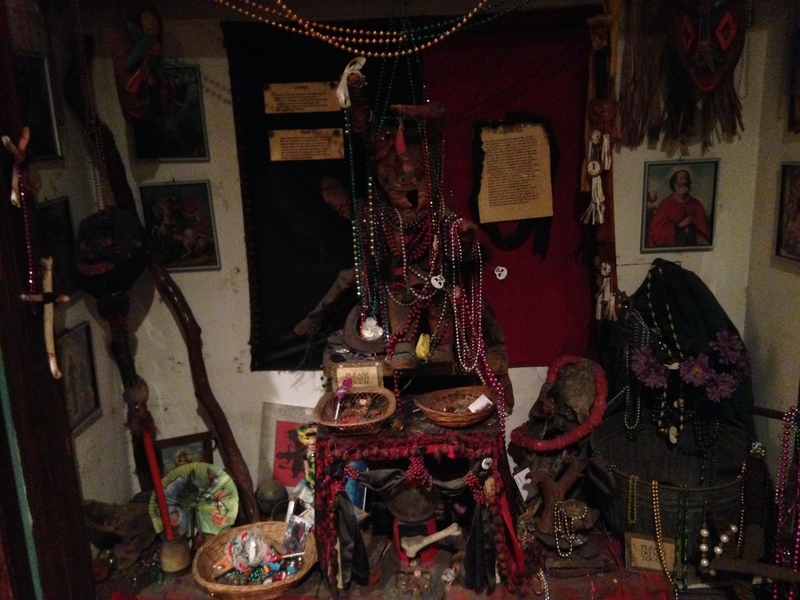 It is a small but well curated museum dedicated to the history and culture of Voodoo in New Orleans. It consists mostly of objects of the practice, like this alter of different Voodoo dolls. Another picture of an alter. 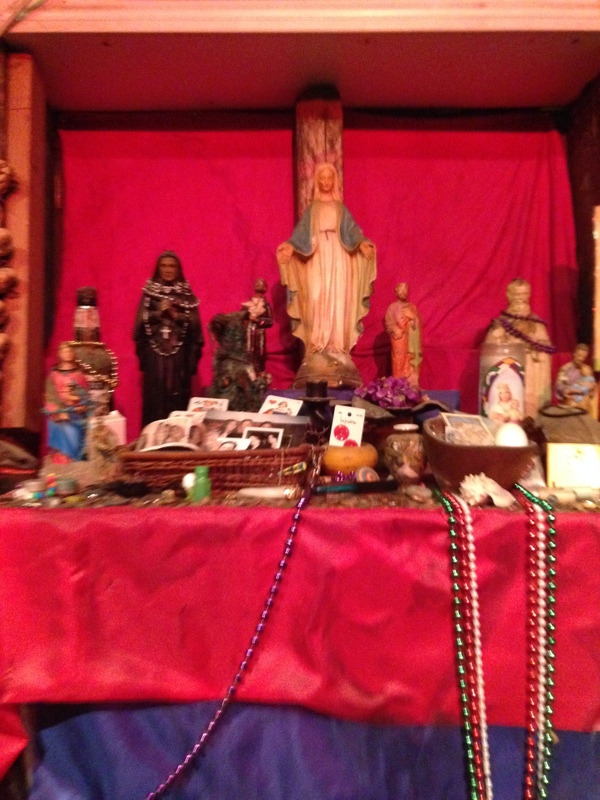 Here, you can really see how Voodoo blends different religious practices, especially with the use of Catholic saints. I really liked this guy, although he is a bit terrifying to see. This is a rendering of a Rougarou, a half-man half-alligator, who can be found in the swamps outside of New Orleans. It is thought that he is inspired by the French tradition of werewolves. Regardless of his origins, I wouldn’t want to run into him late at night. A full length shot of an alter. Notice the influence of several different religions and countries. You can also see offerings that people have left from beads to candy to coins. 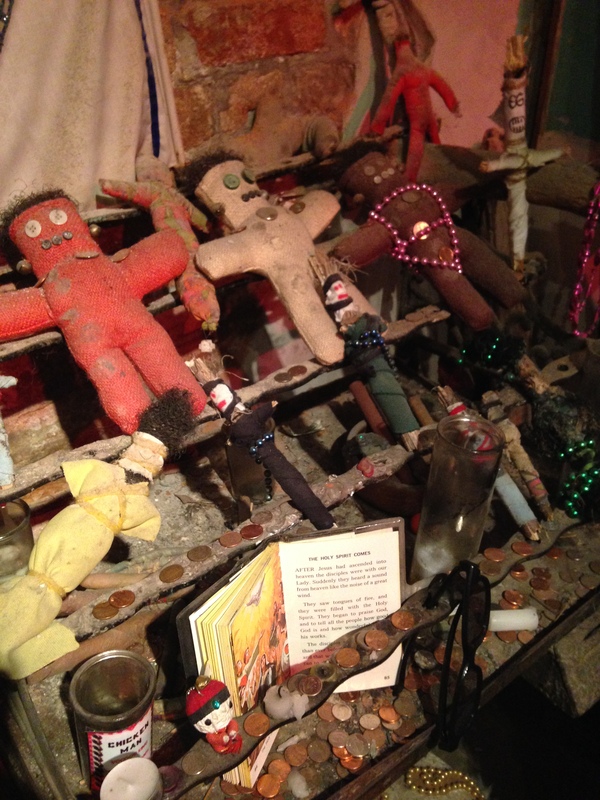 The Voodoo Museum is small and eerie, dimly lit with haunting music piped in. Despite its size, I really think that you get a great overview, and almost sneak peek into, of Voodoo practice and culture in New Orleans. The hot sauce bar is not actually part of the Voodoo musuem, but I had to add it. Every touristy gift shop has a wide variety of local hot sauces (yes, you can get more adventurous than Tabasco, which is also made nearby). 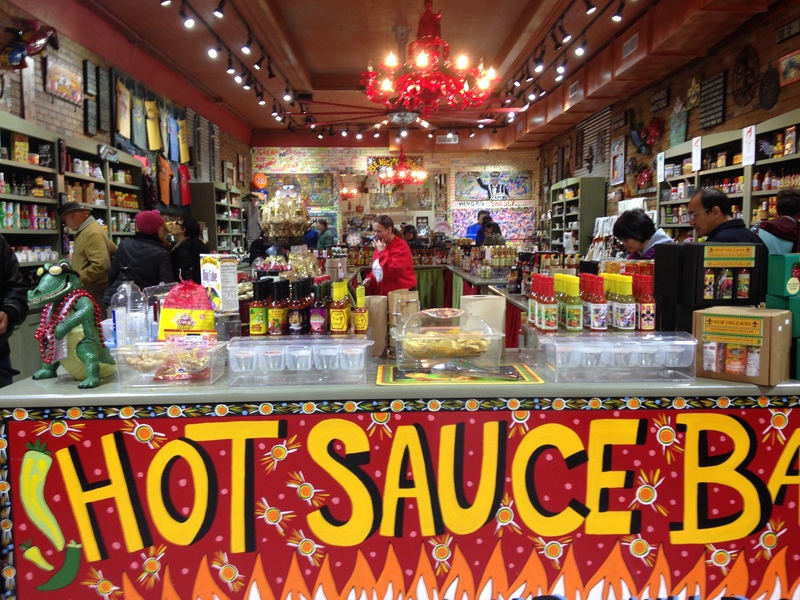 But, this one kitschy store stands out as it actually has a hot sauce bar where you can try each of these different sauces, dips, and salsas. I think I tried about three, and that was far too many for me. My mouth was on fire! But a great way to try before you buy some really excellent hot sauces of every variety.